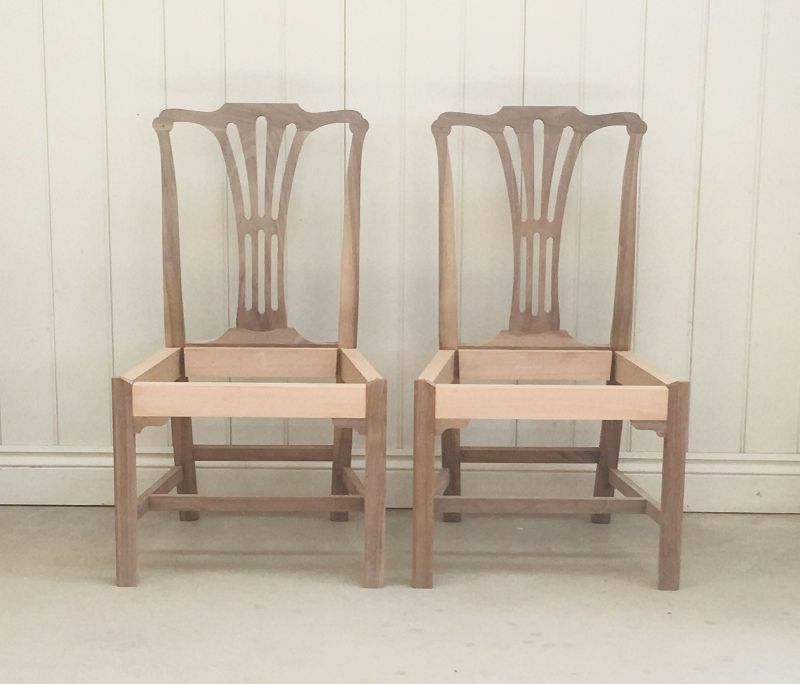 I completed the construction of the two chairs on Christmas day and had hoped to finish them this week; however it’s simply too damned hot. When the weather cools from the current high 30s (US: stinking hot) to the mid 20s (US: still a bit warm), I’ll give them a 260 year-old polishing. After that, they’ll go off to the upholsterer and likely won’t reappear for a couple of months. This entry was posted in Seating and tagged Irish, side chair, walnut. Bookmark the permalink. Very nice looking chairs, Jack. Thank you for posting them. An inspiration to us all. Living in the U. S. I also appreciate your conversion of the temperature. Very nice work my friend. The area of the crest rail attachment is particularly nicely done. Looking forward to see how the upholsterer compliments your work. I know you do not want to be a “how to” site but could you go into some detail about your “260 year old polishing”? Your finishes on all your project always look so “right”. Condensing a six month course into a blog post or two is asking a bit much Joe. You’ll have to wait for the book. It is coming one day! High 30s? Now, it’s just beginning to get comfortably warm. Lovely chairs. Very nicely done! Lovely work. Does my heart a world of good to know that we “old folks” can still “rise to the occasion.” (Just on my way to the chemist!) Good on ye and a Happy New Year.